Not interested in the step-by-step? Skip to the recipe. There are so many different variations of kofta kebabs but most consist of ground meat—usually lamb or beef—mixed with herbs, spices and onions. I have eaten several variations all over the world but I’ve never cooked them. Every time I searched for a recipe, the list of ingredients was so long that it made my head spin. I recently came across THIS recipe on The Black Peppercorn and thought, now this is something I can handle! 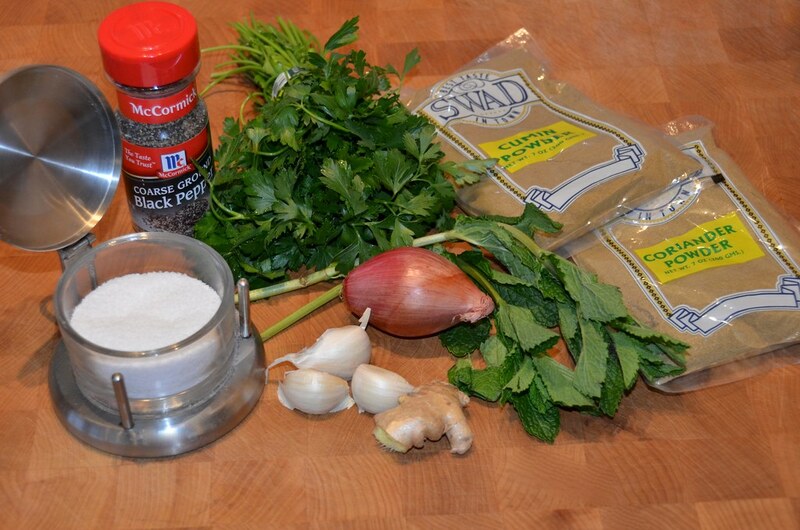 The ingredients for the spice mixture is pretty simple: garlic, ginger, shallot, parsley, mint, cumin, coriander, salt and pepper. 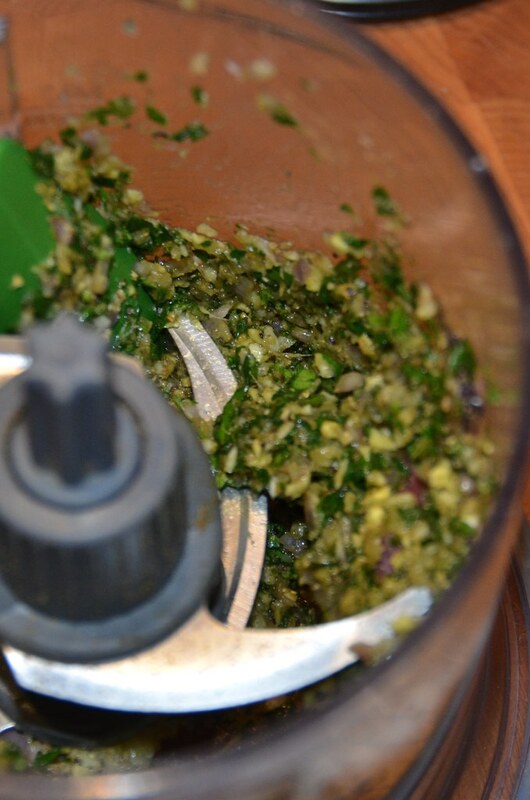 Peel the ginger, garlic, and shallot and toss them into your food processor with the other ingredients. You’ll want to use fresh herbs for this. Pulse until the garlic, ginger and shallot are minced. 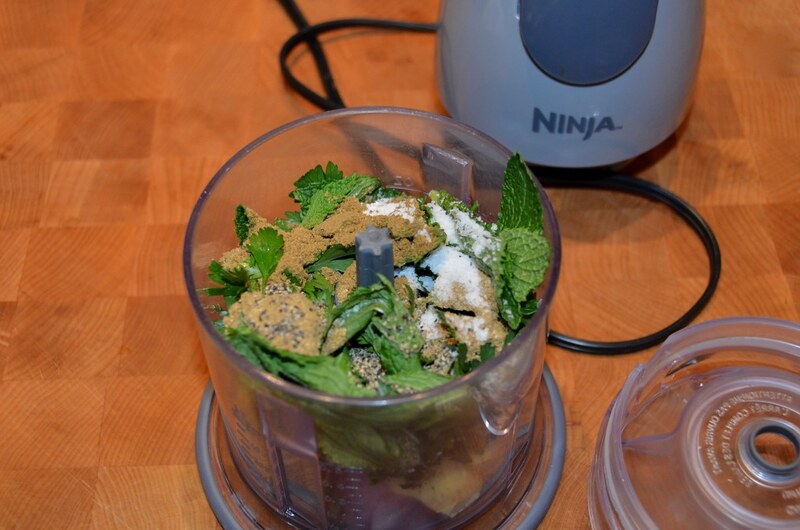 Scrape the sides of your food processor and pulse a little more just to make sure everything is well combined. You are going to love the way this smells. 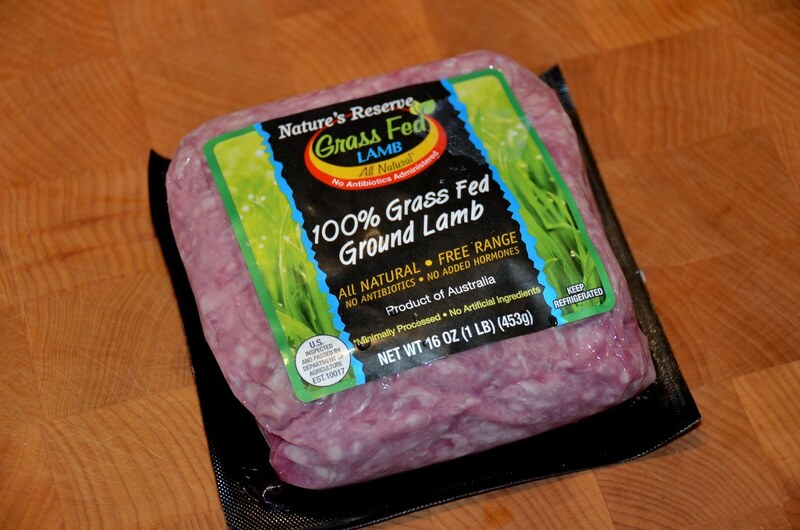 I used ground lamb but feel free to use ground beef, pork, or a combination of them. And work it into the meat. Your hands are the best tool for this. 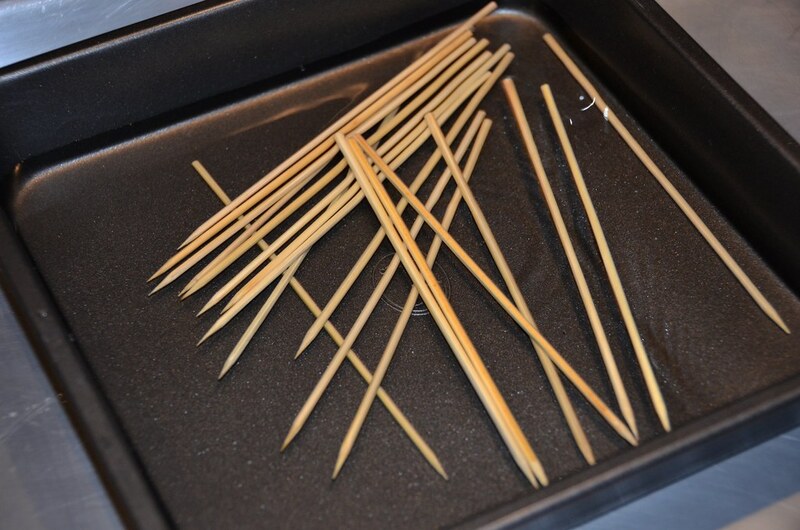 If you use wood skewers, be sure to soak them in water for at least 30 minutes so they won’t burn on the grill. A little later you’ll see what happens when you don’t take my advice. 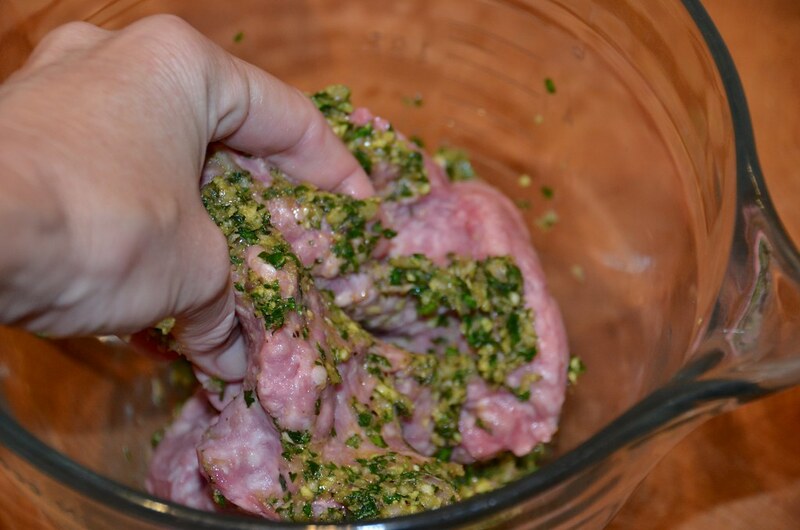 One pound of meat should make about 10 kebabs. I cooked these on my Big Green Egg at about 500F. This is a very fast cook. After 2 minutes on the other side, I shut all of the vents and let the kebabs “dwell” for 2 more minutes. See how my skewers burned? That’s proof that 15 minutes of soaking doesn’t work. 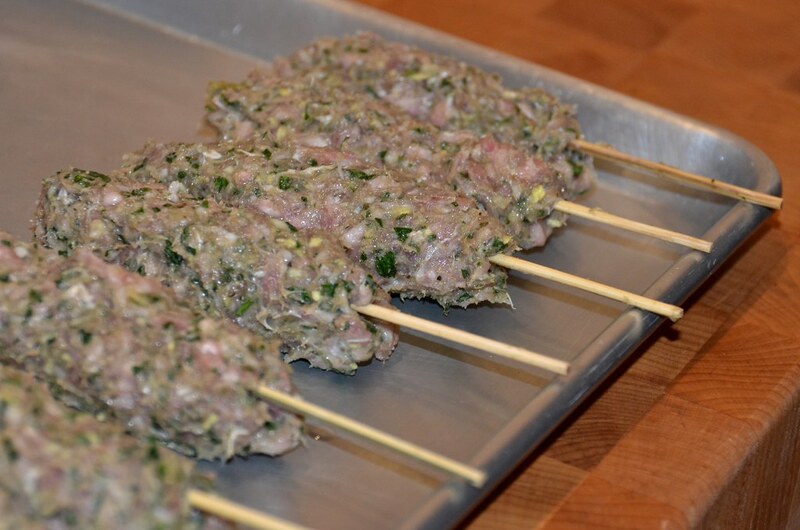 I hope you’ll give these Lamb Kofta Kebabs a try. 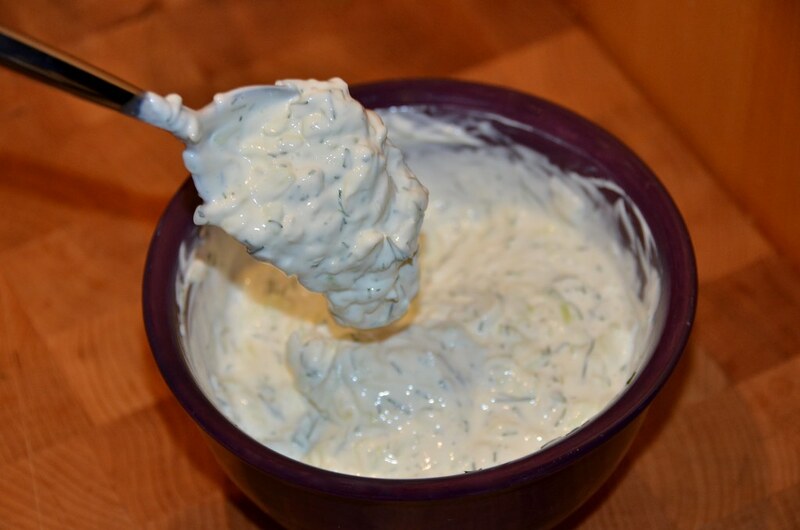 Serve them with THIS Easy Tzatziki Recipe for a simple, fun, and flavorful meal. 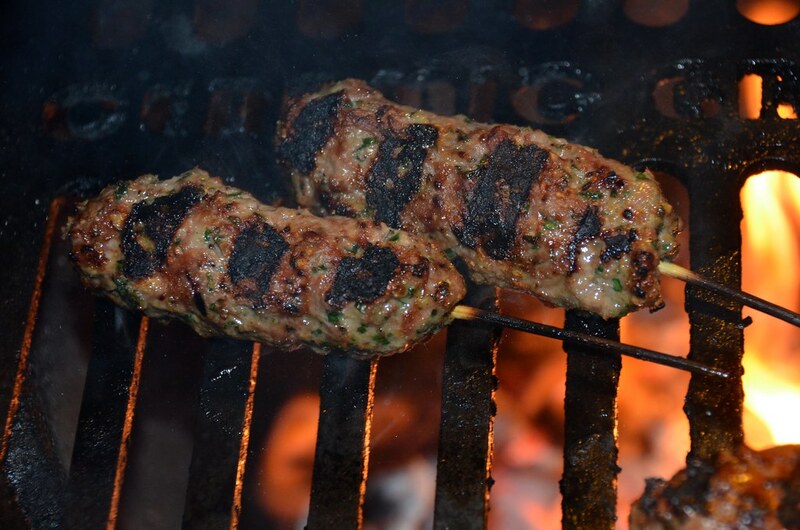 Grilled Lamb Kofta Kebabs with Tzatziki is a simple, fun, and flavorful meal. Adapted from The Black Peppercorn. 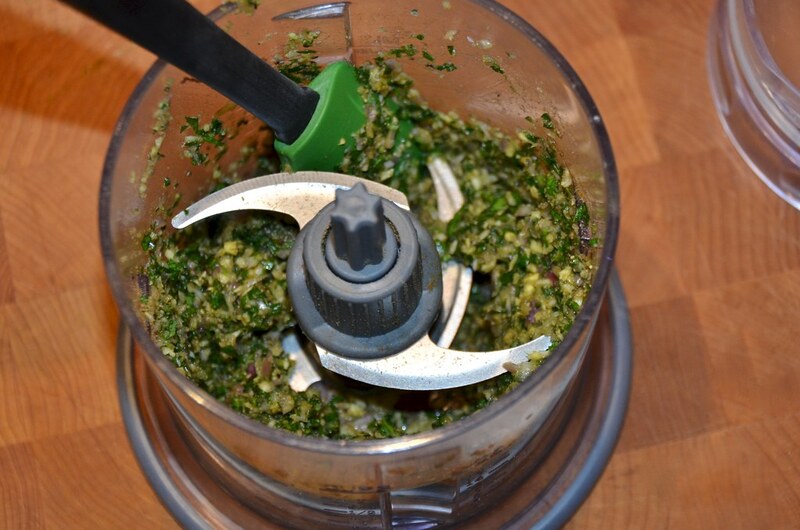 Peel the ginger, garlic, and shallot and put them into your food processor with everything except the ground lamb. Scrape sides and pulse a little more. 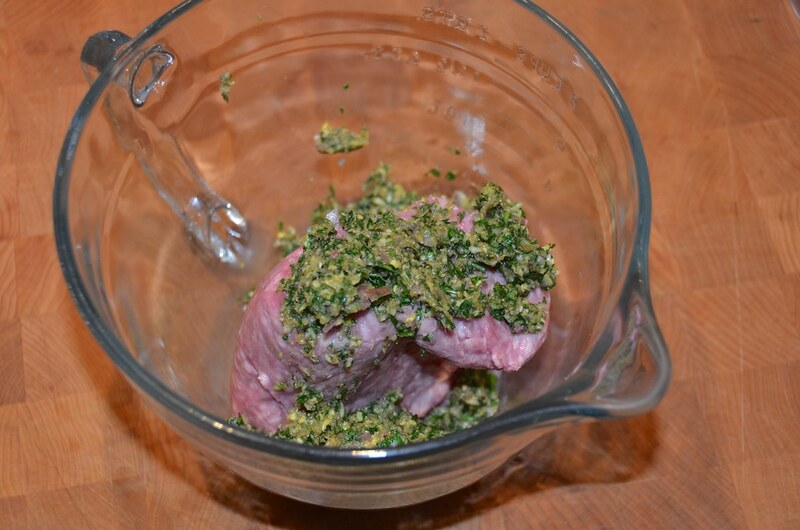 Add the spice mixture to the lamb and work it into the meat until well combined. 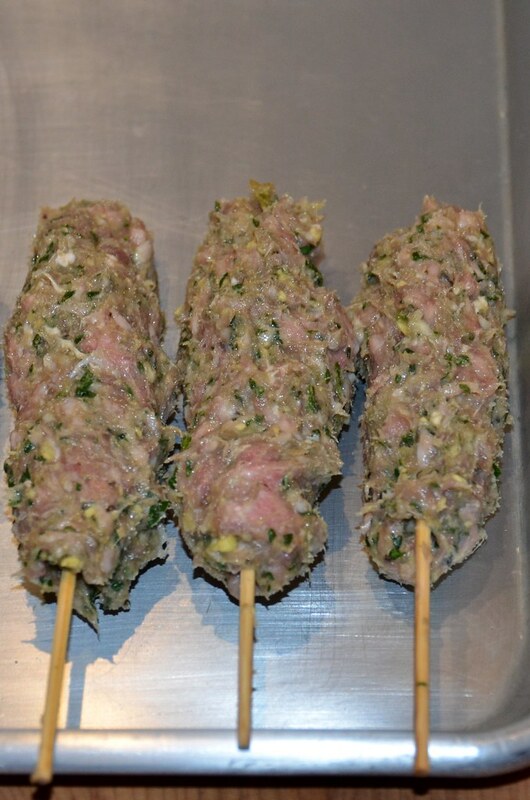 Form the meat mixture around skewers. If you use wood skewers, be sure to soak them in water for at least 30 minutes so they won't burn on the grill. I cooked these on my Big Green Egg at about 500F, direct. Grill over high heat for about 2 minutes and flip. Cook for another 2-3 minutes or until the internal temperature is 160F. 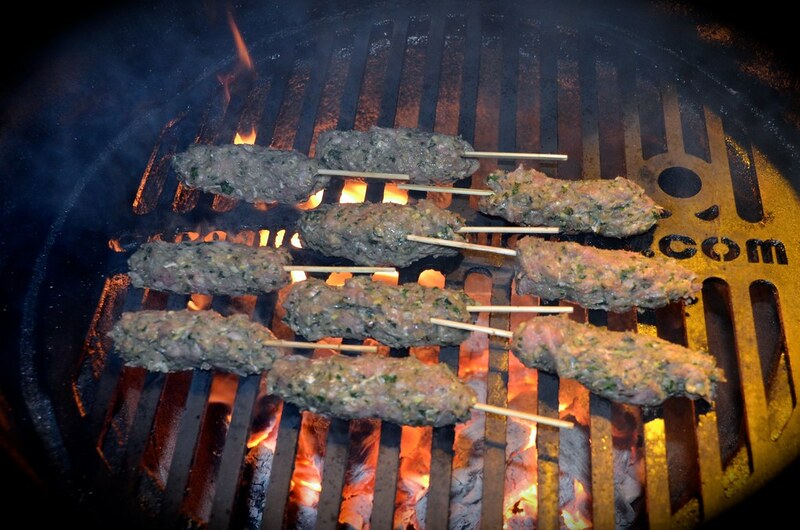 Serve the Kofta Kebabs with Tzatziki. Serve cold with crudités, pita bread, or grilled meat. Peel and grate the cucumber (all but the middle part where the seeds are). Squeeze the water out of the cucumber with a cheesecloth, thin towel, or your hands. Add the grated cucumber, lemon juice, minced garlic, and chopped dill to the Greek yogurt. Serve cold with crudités, pita bread or grilled meat. 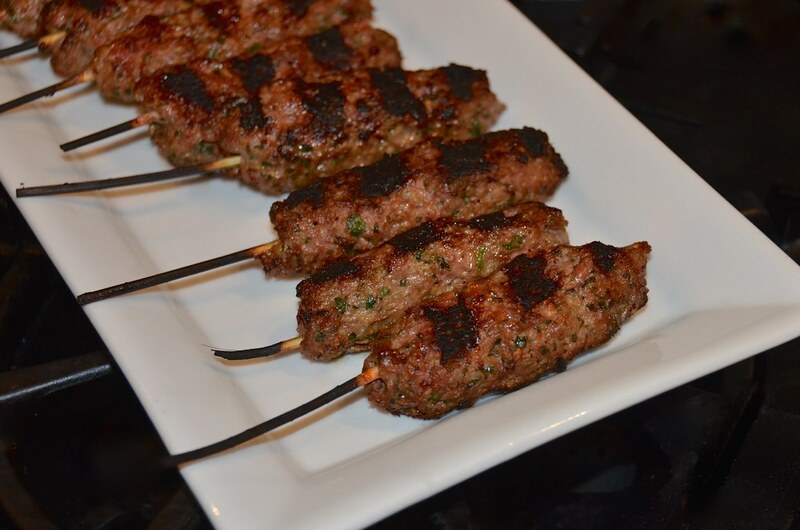 4 Responses to "Kofta Kebabs"
I cooked these yesterday and they were absolutely fantastic! Thanks for sharing the recipe. Do you recommend the Ninja? We are thinking about getting one for a food processor since they sell the kit at Costco. 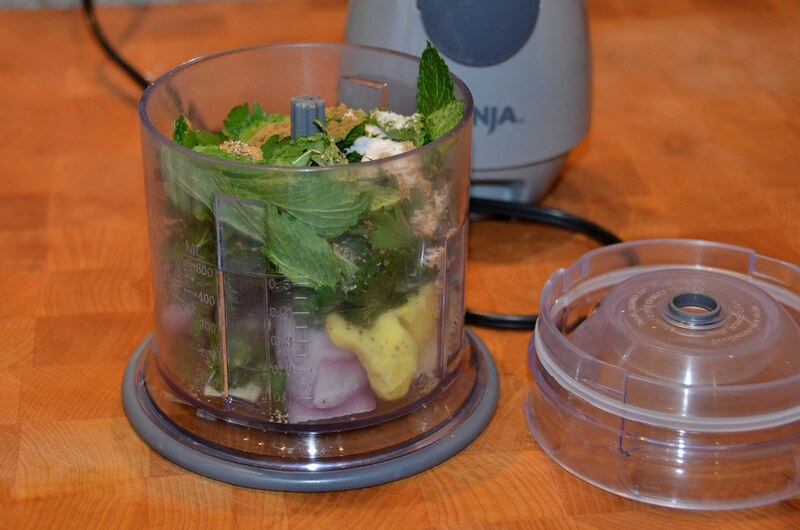 Yes, I do recommend the Ninja — I use it all the time for stuff like this and marinades.